The title of this blog is courtesy of the Franciscan minister and inspirational speaker Richard Rohr, OFM who states that, “Perfection is a mathematical concept. It is not a human concept. Humans are inherently imperfect.” Even the preeminent leader of the Indian Independence Movement and fighter for truth and non-violence, Mahatma Gandhi states that, “Once you believe you have achieved perfection your further development stops and starts moving backwards.” So why as humans are we obsessed with perfection when we are inherently imperfect and when that imperfection makes us unique and diverse. As we approach, the celebration and events for the International Day of Pink, a day against bullying, discrimination, homophobia, transphobia and transmisogyny on Wednesday, April 8, 2015, the concept of perfection has been on my mind. What does perfect mean? According to Merriam-Webster, perfect means having no mistakes or flaws; completely correct or accurate; being without faults or defects; satisfying all requirements and corresponding to an ideal standard or abstract concept. Just looking over that definition, who in this world has ever been without mistakes, without faults, without defects or always correct and accurate? Our flaws and imperfections make us beautiful, vulnerable, inspirational, strong, special, distinctive and most of all human. 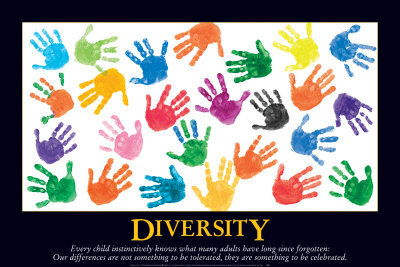 As a civilization and a race, we should celebrate our differences and diversity. Everything that surrounds us in nature is different and two things are never the same. Think about if all the trees in the world were Oak trees, all birds were crows, all animals were dogs and there were no changes in the seasons. How boring and uninteresting! Even within species there is diversity and variety. Discussing the above example, there are approximately 600 species of Oak trees; there are 40 members of the Corvus (crow) genus and for the domestic dog there are about 700 million to 1 billion members worldwide. For dog owners, I do not have to explain how unique their pet is within the same breed of that type of dog. So why as humans can we not accept the differences, flaws, particular attributes and varying thoughts that each of us have? It seems so counter intuitive that we want everyone to be like us, to do like us, to think like us and to feel like us, who made any of us so perfect that our way of thinking is the only right way. Our differences, diversity and flaws are our strengths not weaknesses. Seeing, understanding and interacting with many different people from all walks of life, backgrounds, cultures, ethnicities, socioeconomic status, disabilities, sexual orientations, religions, ages, gender and many more facets, will broaden your horizons and make for a great, productive and enjoyable life. So lets not seek perfection anymore in our fellow humans but seek the good qualities that we admire and not dwell on their faults. More that that, accept your own flaws and imperfections, because there is only one you and that one you is an individual who is special. No one is like you in this entire world, not even your identical twin! In closing, Mahatma Gandhi further elaborates that “You must be the change you wish to see in the world.” So lets try to attain the goal and inspire our vicinity to accept others and ourselves as we are because in our inherent imperfection we are loved and admired.